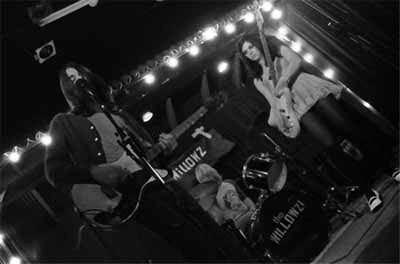 The first big break for Anaheim rockers The Willowz came from the movies, Michel Gondry's Eternal Sunshine of the Spotless Mind, to be exact. The 2004 Jim Carrey/Kate Winslet vehicle included two Willowz songs on its soundtrack. Director Gondry discovered the band while surfing for mp3s on the Internet. "It was a big deal for us. People first found out about our music through that movie. We were being heard on a national level," said Willowz frontman Richie James Follin via a cell phone that sounded so bad it was like talking to an astronaut in a Russian Soyez rocket instead of a rock star in a van cruising through North Carolina on the way to D.C.
Gondry was so taken by the band that he directed a video for their song "I Wonder" from their 2004 debut full length on Dionysus Records. "He made the video because he had a dream about the song," Follin said. Now Gondry's brother, Olivier Gondry, is making a video for a track off the band's new CD, Talk in Circles, released in April on Sympathy for the Record Industry. 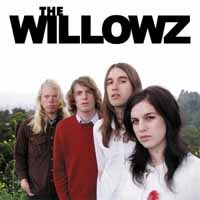 Often compared to The White Stripes -- another band that got its start on the Sympathy label -- The Willowz do in fact sport a similar DIY garage sound as that Detroit duo, but with more than a touch of '70s-era Stooges thrown in for good measure along with the occasional nod to fellow Cali punkers X. Meanwhile, songs like "Blind Story" and "Lock Me Out" sound like traditional indie fodder. The band's O'Leaver's gig Aug. 13 comes smack-dab in the middle of a two-month tour that's included a couple off nights, like the Chapel Hill show the previous night. "It was the worst show on the tour," Follin said. "We were playing in a book store while a house party going on next door where everyone was at. We ended up using the other band's equipment and had fun anyway." Is the glow from being in the Jim Carrey movie beginning to wane? "If it is, it doesn't matter," Follin said. "Our music is going to be in Michel (Gondry's) new movie, The Science of Sleep. He's even reworking one song with a chorus sung by a choir." Published in The Omaha Reader Aug. 10, 2005. Copyright © 2005 Tim McMahan. All rights reserved. "It was the worst show on the tour. We were playing in a book store while a house party going on next door where everyone was at."